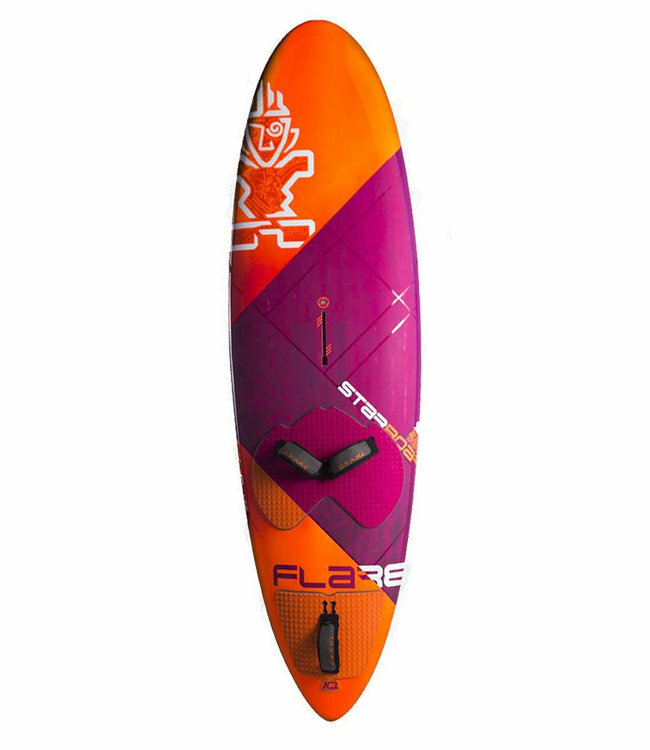 Retail price: $2,375, our used price is $1,400 Read more..
Our dedicated freestyle board, the weapon of choice of PWA Freestyle World Champions Dieter van der Eyken and Sarah-Quita Offringa. The 2018 Flare shapes have a new volume distribution with the thickest point of the board pushed back and a thinner, more aerodynamic nose. The outlines and bottom shapes have also been upgraded to make the new Flares more compact than ever. A new Flare 113 is also added to the range for lighter days or bigger riders. All boards come with Drake Ready to Freestyle fin fitted to a Power Box. Fin sizes have been increased by 1 cm compared to 2017 to improve speed and grip.